Beyond offering a sparkling new building to shelter victims of domestic abuse, the recently opened Sojourner Family Peace Center has created space in one central location for a multitude of partners who address family violence. “This building is for the community. 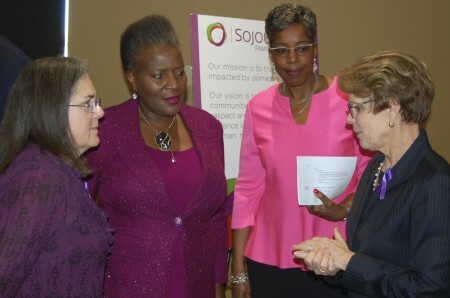 You deserve dignity and respect,” said Carmen Pitre, president and CEO of the center, speaking to dignitaries, representatives of partner organizations, funders and others at the recent grand opening. “We are here to help families heal,” Pitre added. One of the first and largest such centers in the U.S., the $20-plus million project was designed on the Family Justice Center model, pioneered in San Diego and endorsed by the United States Department of Justice. Surrounding victims of domestic violence with all of the resources they need when they are in crisis, in the same location where they are sheltered, has proven to be the most effective model for healing and rebuilding lives, the DOJ concluded. “At the worst time in your life, if you have to go to eight or nine locations, that adds to your trauma,” Pitre explained. “For traumatized people, the easier we can make it the better. The more we can wrap our arms around them the better,” she said. Violence prevention through education is another of Sojourner’s goals. The center includes a large space for teen programs, parent and staff education, and childcare. Rooms are available for the use of community groups and Pitre said she would like to see community members coming in and out on a regular basis. Beyond helping families dealing with immediate crises, Pitre wants the center, located at 619 W. Walnut St., to foster deep connections between clients and their own neighborhoods. “We have been talking with groups throughout the city about partnerships we could create that help families when they return to any neighborhood in the city,” Pitre said, citing the Boys & Girls Clubs of Greater Milwaukee and the Milwaukee County libraries as examples. The former shelter, Sojourner Truth House, offered 46 beds to women and children, at a confidential location. The new shelter can accommodate 56 and is embedded in a secure section of the new center. Residents are literally and figuratively wrapped inside a network of advocates and healing professionals. 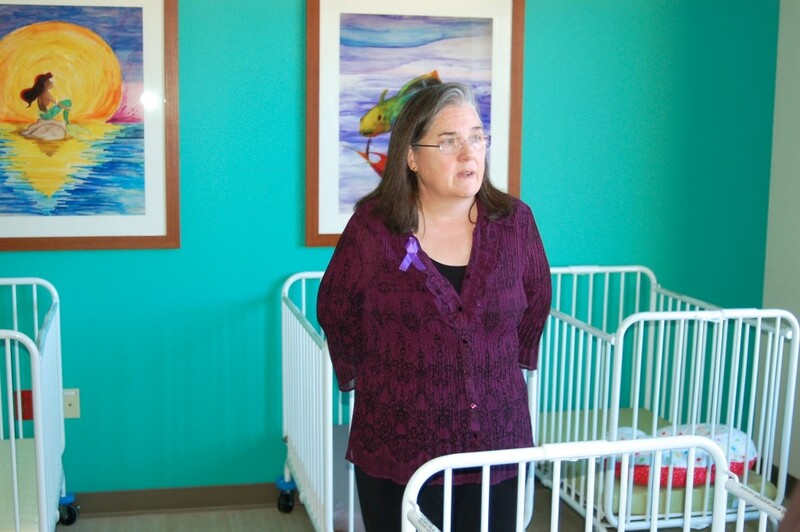 “This facility gives us the opportunity to wrap (services) around people and show them that they have the power to break the cycle of violence,” said Peggy Troy, CEO, Children’s Hospital of Wisconsin, Sojourner’s main partner in the new facility. The Children’s Hospital of Wisconsin Child Advocacy Center and Milwaukee Police Department Sensitive Crimes Unit are located in the building. In addition, Aurora Health Care, the Milwaukee County District Attorney’s Office, Milwaukee Public Schools, Wisconsin Department of Children and Families, Jewish Family Services, and Wraparound Milwaukee are among the partners that will have representatives in the new facility. In addition, the Marquette University Law School Restorative Justice Program, Marquette University College of Nursing and others are finalizing details of their partnerships. Major funders include the State of Wisconsin; Charles E. Benidt Foundation; Zilber Family Foundation; and former Major League Baseball Commissioner Bud Selig and his wife Sue, in support of the center’s Child Advocacy Center. Pitre commended the center staff, saying they are the ones “who stand in the dark, holding candles” to guide those who come to them in need. Thank God for all those who finally understand the needs of domestic violence survivors.